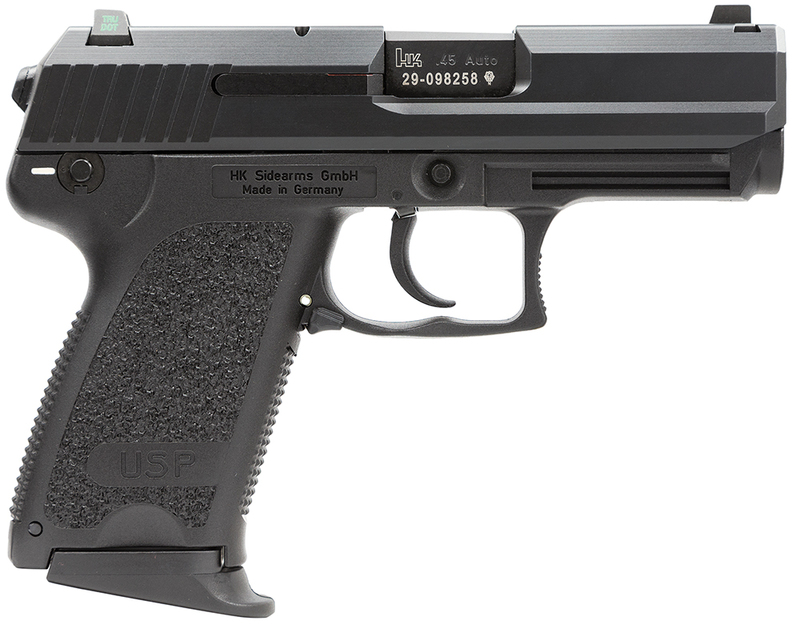 The HK USP Compact is a small frame pistol capable of firing the most powerful cartridges. Based on the full size USP models, these handy pistols combine compact size with optimum effective shooting performance. The reduction in trigger reach and grip circumference increases concealability and enhances shooting ergonomics. Unlike some subcompact, semi-automatic pistols that use a difficult to shoot two finger grip frame, the USP Compact uses a narrow, full hand grip frame. Variant 1 is double action/single action with "Safe" position. There is a manual safety/decocking lever on left side of frame. This model ships with three magazines and night sights.